22 Apr Happy Earth Day! If you are looking for ways to minimize your carbon footprint, solar energy is the way to go. As a clean alternative to fossil fuels, solar power is reliable, non-polluting and an endless source of renewable energy. Why wait? May Day in Nevada County usually means maypoles and the coming of spring, but there’s another May Day, also known as International Workers’ Day, that focuses on workers. It is this May Day that the Nevada County Left Coalition in partnership with the Nevada County Peace and Justice Center will be celebrating on Wednesday, May 1, from 3-8 p.m. at Seaman’s Lodge in Nevada City. This will be a free, family-friendly event for all those who want to stand in solidarity with workers, waged and unwaged. It will be a potluck, so please bring a dish to share. There will be speakers, music, art and children’s activities. The origin of this international holiday dates back to the Haymarket Affair of 1886, a brutal repression of workers agitating for an 8-hour work day that took place in Chicago. May Day commemorates this struggle and the loss of those killed at Haymarket, while celebrating the victories that would follow and all workers’ struggles. Featured speakers at the event will include Angelica Niblock of California Solar Electric Company, a Grass Valley solar company in the process of transitioning from a single owner into a worker-owned cooperative. Such cooperatives are a form of workplace organization considered by many to be a democratic step forward, and a possible solution to some of the excesses of the current economic system. Niblock says that she has been practicing democratic management in her role at California Solar for years, and is excited to be embarking on the next leg of the journey of forming a workers co-op. In addition to the two co-sponsors of the event, also present will be Central Foothills Democratic Socialists of America and climate change activists Extinction Rebellion. For more information email ncleftcoalition@gmail.com. Date: May 1, 2019 3 p.m. – 8 p.m.
Photo above: Oliver Bach, left, in 2017 as a Cal Solar Intern. Facilities Manager Josh Jozefowski, right. The solar industry is one of the leading industries in the U.S. and offers great local opportunities for young people entering the job market after high school. On April 6, Grass Valley-based business, California Solar Electric Company will have an outreach booth at the fourth annual Nevada County STEAM Expo where kids can learn more about how they can get involved in solar internship and apprenticeship programs. Cal Solar will join about a dozen other local technology and science-based companies at the event held at the Nevada County Fairgrounds and organized by Nevada County Superintendent of Schools. Employees from California Solar will be on hand with a solar phone charging station and a solar powered golf cart. Older teens interested in renewable energy and sustainable future career paths, will have a chance to find out more about becoming an intern. “What we want to do is give kids the ability to be on the top of the food chain in the solar installer market and kickstart their careers,” said Lars Ortegren, Co-Founder and Director of Operations at Cal Solar. It all started back in 2011 through a partnership with One Stop Career Center where Cal Solar employees taught classes on pathways to green careers to at risk young adults age 19 – 23. Since then, an internship program has evolved, mixing education and on the job training for young people. “Out of that came this idea that we want to get people when they are younger so they get the bug and begin to accelerate. That really started to highlight where we want to be – a place where we can empower people,” said Ortegren. Now in its fourth year, the program is designed for high school students 16 years of age or older who are willing to work hard and have a drive for solar energy and renewable resources. Young women are encouraged to apply. Interns start with one day a week during the school year with a strong expectation that internships will evolve into an apprenticeship the following summer. At the end of the second year, California Solar will equip grads of the program with the experience and education for the highest certifications in the Solar Industry, qualifying them for the highest paid jobs in the fastest growing industry in the country. Solar Photovoltaic Installers are the fastest growing occupations in the U.S., with a 105 percent growth rate predicted for 2016 – 2026, according to the United States Department of Labor, Bureau of Labor Statistics. “Electricians have always been one of the hottest jobs in the U.S. Now solar installers are considered in the top jobs in the U.S. We’re really setting interns and apprentices up for success,” said Ortegren. The training prepares young people for a long term position before, after, or in lieu of college. Already, one graduate of the program has gone off to get his journeyman certification and now runs a solar company in New Mexico. Another went on to find work in Seattle. 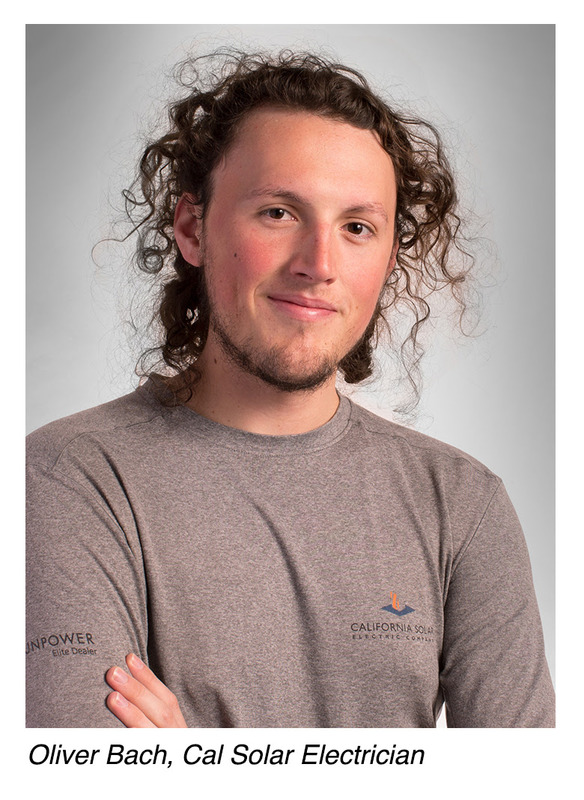 Oliver Bach, 18, started as an intern through Bitney High School, and is now a full-time solar electrician with the company, an example of Cal Solar’s mission to save the planet and provide meaningful careers locally. “What we train isn’t a job, it’s a trade and a craft. We don’t hire workers, we train technicians. We look for people with mechanical abilities, teach them the theory behind electricity, the codes, and standards that all electrical work requires, and the art of how to make it beautiful. A trade isn’t a job that is just learned, it’s something that involves learning every day and is in constant refinement,” said Ortegren. The Fourth Annual Nevada County STEAM (Science Technology Engineering Art Math) Expo will be held between 9 a.m. and 3 p.m on April 6 at the Nevada County Fairgrounds. The STEAM Expo combines science, technology, engineering, art, and math into a stimulating experience that engages the entire family. It’s also a place where students show off their hard work and compete in several categories. Other tech-related businesses invited to the event as part of a new pilot program funded by Nevada County Economic Resource Council include: AJA, Autometrix, Geo-Logic Associates, Grass Valley, A Belden Brand, Grass Valley Police Department, Nevada Irrigation District, Nevada City Film Festival, Sierra Soil Biology Association, Sierra Streams Institute, South Yuba River Citizens League and Traitware. “The idea behind it is to show students a pathway within Nevada County for different technology careers. There are so many options in technology and so many options locally,” said STEAM Expo Coordinator Heidi Lyss. Just before 3 o’clock in the afternoon, solar output peaked at 10,765 megawatts, the highest amount ever, though just a smidgen more than the previous record set last June. According to the California Independent System Operator (CAISO), demand at that time, not including behind-the-meter solar, was around 18 gigawatts. Los Angeles and Sacramento are not part of the CAISO grid. That meant solar was meeting 59% of the grid’s power needs at that moment.That’s wonderful news, but what should get solar proponents really excited is that CAISO was a net exporter of electricity to other systems at the time the record was set. As PV Magazine points out, CAISO is required by its existing contracts with out-of-state energy suppliers to import a certain amount of electricity even when it doesn’t need it. Depending on market considerations at the time, sometimes CAISO actually has to pay other utility operators to take its excess electricity, particularly during the mid-afternoon when solar output is at its peak. But that didn’t happen in this instance. Growing battery storage capability in California is one of the reasons why. The data from CAISO only tells part of the solar record story, however, since behind-the-meter solar — which is estimated to be half as much as grid-scale solar — is not included in those numbers. That means at that time on Saturday, March 16, total available solar energy within the CAISO system was closer to 16 gigawatts. Based on data from the US Department of Energy, PV Magazine calculates that 14% of California’s annual demand for electricity was met from in-state solar resources last year and that number is expected to be far greater this year as California once again adds more solar generating capacity than any other state. They also totally exclude any intangible but very real health and environmental impacts from drilling for, transporting, and burning fossil fuels to make electricity. In today’s superheated political sphere, half-truths and outright lies are considered business as usual. Despite their distortions, renewable energy is rapidly displacing conventional generating plants, something that means we can all breathe a little bit easier. Founders of local family-owned company, Atmosphere Design Build take the challenging goal of Zero Net Energy seriously. “As this is our own home, it is an opportunity to explore how far we can push the intersection between design and the high-performance construction techniques that we have developed as our firm’s best practices. As the home for our family of four, it embodies our beliefs about resiliency, efficiency, and design,” said Mela Breen, who with her husband, David Good, own Atmosphere Design Build. The future is now for homebuilding in California and the Good Haus is quickly becoming recognized as a leading model for what energy efficient homes can look like. On March 21, 11 a.m. to 4 p.m. this husband and wife team will open their home, affectionately called the “Good Haus” to local development stakeholders as part of an exclusive tour hosted by Fine Homebuilding Magazine and Sierra Business Council. California Solar Electric Company will be on hand to answer questions about the 2020 advanced efficiency standards adopted by the California Energy Commission. “The techniques we used in this project can be applied to any home. As California continues to push building towards higher building performance standards, it will be important that architects, designers, and builders know how to execute assembly details correctly. We hope to inspire folks that are building to commit to reducing energy usage and building in the least impactful way that their budgets allow,” said Breen. The free presentation will explain the ins and outs along with the “why and how” behind the highly-insulated thermal envelope, efficient appliances and mechanical systems, and the photovoltaic solar system that meet or exceed all of the requirements in the state’s newly adopted 2019 Building Efficiency Standards. “All newly built homes in California will be required to have solar as part of the new home build,” said Robert Totoonchie, Residential Sales and Design Manager for California Solar. The new rules apply specifically to all new residences and major home renovations on buildings under three stories, starting January 1, 2020. Updates to building standards are projected to reduce home energy use by 53 percent and save Californians $1.7 billion in energy costs over the next 30 years, according to Green Tech Media. Energy used in buildings is the second-largest contributor to California’s greenhouse-gas emissions. Concerned about both energy use and its environmental impact, the California Public Utilities Commission adopted the California Energy Efficiency Strategic Plan in 2007. The plan set a goal that all new residential construction be zero net energy by 2020. “All of the strategies they used in this house are things that builders are going to have to do. It is a lesson in the way that building is going to be in the very near future,” said Sean Groom, Contributing Editor for Fine Homebuilding Magazine. The construction of the Good Haus – from start to finish – was featured in a three-part series in the publication. “We wanted to find a project that would highlight really progressive building codes,” said Groom. Zero net energy is achieved when the energy consumption of a project is equaled or exceeded by its on-site energy production, typically a photovoltaic array, according to Atmosphere Design Build. Any project can technically be zero net energy with a large enough photovoltaic array, but that is not always the aesthetic homeowners are looking for. For ten years, Atmosphere Design Build has honed their talents on net zero houses, deep energy retrofits and passive houses. They put those skills to the test when they designed their own home, one that far exceeds California’s progressive building code. Breen and Good have mastered the art of resource efficiency-reducing the carbon footprint of a project to ensure that photovoltaic arrays are no bigger than necessary. Over its 25 year warranty, the solar electric system at the Good Haus is projected to save the couple an estimated $35,000. The super high-performance home is equipped with the most energy efficient mechanicals, appliances and lighting available. Most residences of similar size have much larger loads and energy usage. The high performance building uses high levels of insulation, with the remaining energy needs filled in by a smaller solar array. The house is quiet, stays comfortably warm in winter and cool in summer. During the cold, snowy and cloudy month of January, the family of four used 608 kwh. The photovoltaic should easily supply enough for their future electric vehicle. “We love partnering with Cal Solar on our projects. Renewable energy sources that offset a home’s usage is critical to reaching net zero energy. We are biased towards designing and building all electric homes so adding PV is the simplest and most cost-efficient way to then reach net zero energy. As an architecture firm, aesthetics are important to us, so we work to incorporate panels into our designs in a thoughtful manner,” said Breen. Both the south and west facing roofs were planned with solar panels in mind. They chose a panel color that blends well with the metal roofing, is visible but subtle and integrated into the design. Participants of the tour will experience the deep connection between a beautiful house and the land it is built on. Set on a hillside above Nevada City, overlooking a valley, the house is designed around a steep, rocky landscape. Handmade modernism sets the tone with clean lines, open floor plans and lots of light. The house is a modern home in the full sense – in terms of the architectural expression, energy efficiency (high performance), and comfort. Breen’s father, Dan Guyer milled lumber on site for the home. All the siding on the house came from incense cedar trees grown on Guyer’s property in Sierra County. The kitchen cabinets were made from Black Oak and the kitchen island is from wood Guyer milled years ago from savaged walnut trees. “My father was a contractor and master carpenter for most of his professional life. My mother is an inherently creative person, an amazing gardner, house fixer-upper, do it yourself kind of gal. I grew up in a family that moved to Sierra County with the intent to get ‘back to the land.’ It was a very chop wood – carry water kind of upbringing. My artistic eye certainly was informed by seeing my folks create from the materials they had on hand. My formal education in architecture definitely had a broad influence as well,” said Breen. “This is one of the most energy efficient homes in the state. Everything is electric so it will be offset by the solar panels. It’s just this visually stunning house which is super comfortable to be in,” said Sean Groom. When a business mission and culture is that of environmentalism, it is a way of life for the entire team. Immersing the team in the broader environmental community is a philosophy of California Solar Electric Company (Cal Solar). “We are a values-driven company and we put worker and community benefit at the core of our purpose,” said Cal Solar’s Senior Project Manager Angelica Niblock. The Wild & Scenic Film Festival website states that the festival inspires people to heal the earth. It is a call to action. Festivalgoers are transformed into activists dedicated to saving our threatened planet. The environmental and adventure films illustrate the Earth’s beauty. They also show the challenges facing our planet and the communities working to protect it. The festival is also a means of raising resources for SYRCL to recover California’s wild salmon and protect the Yuba River. Melinda Booth is SYRCL’s director. Cal Solar’s Casey Tomasi is a solar installer. He has enjoyed free passes and volunteering at the festival. He speaks highly of Cal Solar’s involvement with SYRCL, including the Yuba River cleanup. He says it’s one of the reasons he joined the staff at Cal Solar. 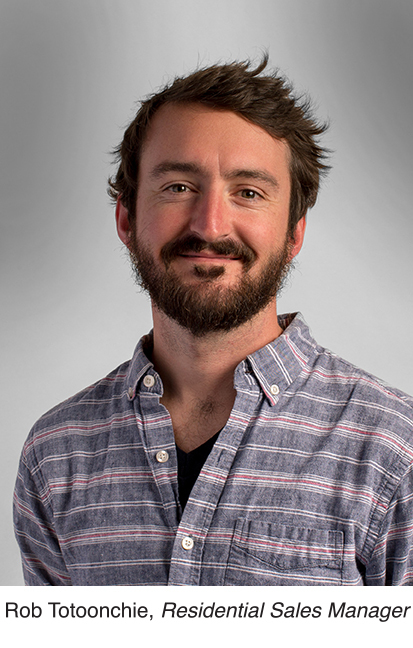 “I chose to work for Cal Solar over other businesses because of their philosophy of doing things differently, with environmental stewardship and community relations an equal or higher priority as profits.” Casey said. For more information about SYRCL here. For more information about The Wild & Scenic Film Festival here. A link to this article in The Union Newspaper here. It takes a lot of electricity to save lives. The cost to power first responder equipment had skyrocketed in recent years for Penn Valley Fire Protection District, totaling as much as $1500 per month. Late last year, a crew from California Solar installed 72 SunPower 435W panels atop Station 43, located on Spenceville Road in Penn Valley. The decision is the most conservative and efficient use of taxpayers’ money, said Fire Chief Don Wagner. “It’s taxpayer money. Basically whatever we spend money on, we’re spending what people have paid taxes on,” said Wagner. When the five-member citizen-elected board took a close look at the cost to power all the equipment used by its three fire stations serving 92 square miles in Western Nevada County, it became clear that something had to give. Going solar was the answer. Alternative energy is becoming a more common occurrence in the rural community known for its ranching and agrarian lifestyle. Just down the street, solar arrays can be spotted on the gas pump rooftops at the “Taco Shell” (a gas station with a Taco Bell inside) and another local resident has gone completely off grid. “There seems to be more and more homes going solar. I think it’s a sign of the times,” said Wagner. Making the switch came with funding challenges for the public agency, but Chief Wagner was determined to make it happen despite the odds. For the past 10 years, he tried various creative solutions to pay for a solar project, but each time grant and financing opportunities fell apart. The past few years, the district has looked into ways to reduce their energy usage by making efforts like installing LED lights. With energy costs continuing to rise, they reached a wall of how far they could go toward efficiency. “We can only shed so much. There was nowhere left to cut in our energy savings plan,” said Wagner. When the board gave the green light to go solar, the district was able to combine a $30,000 trust donation from an anonymous donor in Lake Wildwood and money from the district’s equipment fund to pay for the project. An initial $85,000 investment will pay for itself in seven and a half years. “That frees money to be used for other purposes,” said Wagner. The solar is offsetting two meters at the downtown Penn Valley Station 43. Power is used to charge batteries for things like radios, heart monitors and ambulance computers. Penn Valley Fire Protection District employs twelve full-time career fire personnel. The panels produce electricity even on a cloudy day and help shade the sunniest roofs, reducing air conditioning use and prolonging the lifespan of roofing materials. When the solar electrical system is paid off, the fire district will begin to earn money each month for things like hiring more firefighters, purchasing new apparatus, and staff training. As the cost of PG&E goes up, the district’s $800 average monthly savings will increase, too. “SunPower panels have a unique industry-leading 25-year warranty that guarantees after 25 yrs they will still be producing at least 92 percent of what they did in Year One,” said Martin Webb, Cal Solar’s Commercial Sales Manager. Despite the funding challenges for public agencies, California Solar is no stranger to local schools, cities and parks. In 2008, the Grass Valley-based company worked with the City of Nevada City to install a system on top of City Hall, the swimming pool at Pioneer Park and the City Maintenance Yard on Red Dog Road. In May, crews will install a solar carport at Western Gateway Park in Penn Valley. “The challenge for public agencies seeking financing for solar is the fact that most financing is secured by a property – a home or a business – and in the event of a default, the lender can repossess the property. Lenders have turned away our public works projects because they do not see a way to repossess a public property, therefore they feel there is no way to secure a loan,” said Webb. Government funding through grant and loan programs can be time consuming and bureaucratic, with long wait times for approval. Because of this, nearly all of Cal Solar public agency projects have been cash purchases. “It does need to change. There is no organized movement I know of that is focused on how to make it easier. Some agencies issue bonds or use other unique and creative ways to access funding. Otherwise, the challenge is how to provide some sort of security to a lender, that has some teeth behind it,” said Webb. Besides fires, Penn Valley Fire District responds to road and swift water rescues, hazardous material spills, and all paramedic calls in Penn Valley, Lake Wildwood, Kentucky Flat, Mooney Flat and Big Oak areas. Fire Districts are supported by special assessments of property taxes, ambulance transport revenue and the State Proposition 172 funnel. California Solar recently helped Peardale Chicago Park Fire Protection District go solar, too. With six fire districts and three fire departments in Nevada County, there is room for others to follow suit. “Hopefully others will follow. Its free electricity from the sun. It’s definitely renewable. You’re looking at the future,” said Wagner. We are so proud of our Cal Solar intern Josh Pryor, from Bitney Springs High School. He recently received his OSHA 10 Card, after completing a training course teaching recognition, avoidance, abatement and prevention of safety and health hazards in the workplace. Josh (left), pictured with one of his mentors Mark Cousino, Cal Solar – Electrician.